We prepared a surprise birthday bash for my friends, Haidee and Eden, last week. We chose Cafe Demitasse since the place is not far from my workplace and to where my friends live. 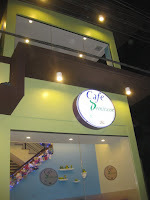 It’s located along Torres Street, where most people wanting to relax meet.Best in Customer Service. I would have to say that again and again. The staff attended to my needs even before I asked them to.When I told them that I was going to pull a surprise party that same day I came, they suggested a lot of things right away. They showed me the 2 rooms they have upstairs which can be used exclusively. One room can accomodate 10-15 guests for P 1,500. 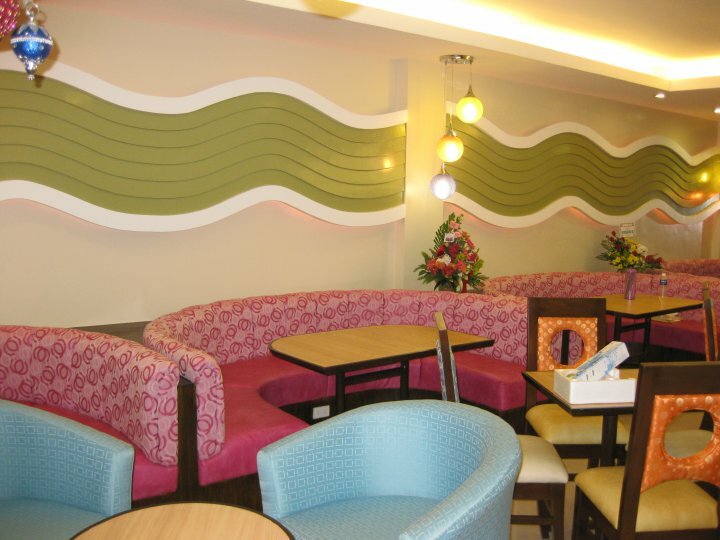 The other room is bigger and can accommodate 25 persons which can be used for P2,500. The rates are consumable and good for 2 hours. An extra P 500 fee per hour will be charged for excess hours. There’s an open terrace for those who want to breathe fresh air which can accommodate 10 persons . I gave my instructions to the staff and the waiters. I have to make sure that the celebrants won’t have a hint of what’s for them. I did not sense any hesitation on their part as I wanted the food prepared on room upstairs before the celebrants arrive. I had to come earlier to set the place up with posters and balloons. The rest of my friends were joining the ceremonies held at our workplace. We were joining the installation rites of our new company president. The need to relax after that event was enough to lure our celebrants to the coffee shoppe. 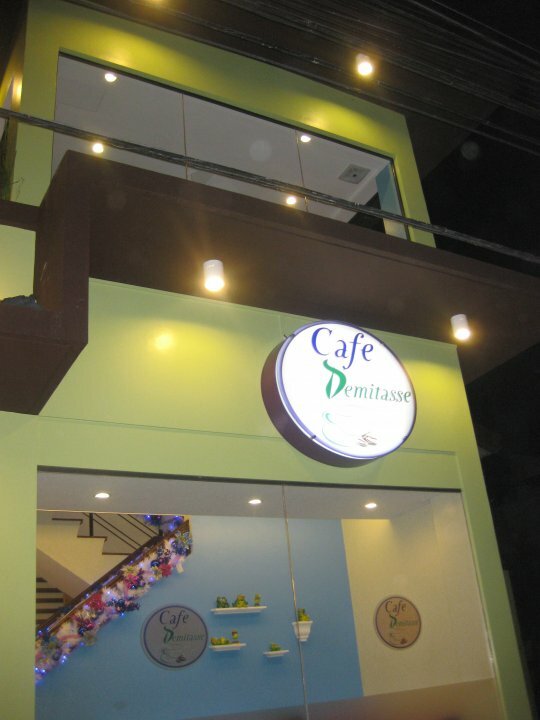 We love coffee and Cafe Demitasse offers a wide variety of hot, iced or blended coffee. They also have juices, smoothies and other drinks. Their cakes are mouth watering and even their meals are tasteful . The prices are very reasonable so it’s going to fit our budget. It’s a perfect place for people who craves a lot of chocolates, pasta, cheese and wants to enjoy a quiet and relaxing place at the same time. The celebrants had the surprise of their lives as soon as they came. I had to thank the waiters for helping out and laughing with me while preparing. They wanted to even sing for our celebrants! I am glad that we chose this place for the surprise gimmick. I am glad that my friends liked the place too.